If you’re considering a career in financial services, you may ultimately choose between a financial advising firm or joining a broker-dealer. 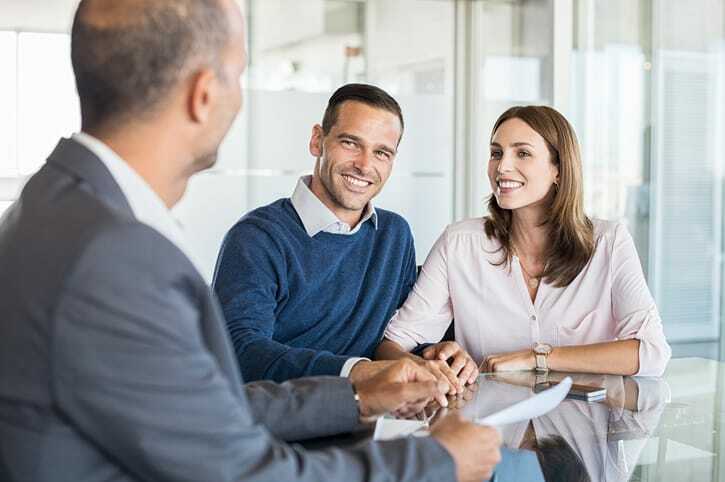 Too many newcomers assume that financial advisors and brokers perform the same duties, but they differ in several respects, such as fiduciary liability and potential conflicts of interest. Before you decide which career path to follow, you should learn the differences between advisors and brokers. Understanding how each job makes money and provides financial services gives you an idea of what to expect. If you are ambitious and want to make yourself a more attractive candidate to big firms, you could consider dual registration so you can provide both advisor and broker services. We want to give you some insight into how a career in the financial services may look like. What does a financial services professional look like? Here’s a short story to frame the discussion. A few years ago, the Certified Financial Planner Board of Standards (CFP Board) conducted an experiment. The idea was to take a professional DJ in New York and mold him into a reasonable facsimile of a financial advisor. After getting rid of his dreadlocks and piercings, CFP Board dressed the former DJ in a nice suit and tie, helped him rehearse the top finance-related buzz phrases and sent him into the conference room with prospective clients. The hypothesis was: Will clients believe that he’s a real advisor if he looks the part and talks shop like a pro? The results were surprising for everyone involved, including the ex-DJ. With only one exception, clients who spoke with this Trojan horse financial planner were ready and willing to take his recommendations. What makes this Cinderella story an exciting anecdote is, he still managed to retain a client even after revealing his actual level of experience. If CFP Board can take a New York DJ with no background in finance and transform him into a successful advisor, you can start a career in financial services, too. Today, the line has blurred between finance professionals who primarily offer advice and those who sell securities. Take any job title you see with a grain of salt because sometimes a “certified wealth manager” isn’t a real financial advisor. Financial advisors’ median pay stands at $90,530, which is why so many people pursue this field. The main difference between financial advisors and brokers is, advisors do not sell securities; they provide more information than merely brokering a transaction. The Investment Advisors Act of 1940 codifies the requirement for financial advisors to maintain a fiduciary relationship with investors. At a fundamental level, fiduciary responsibility entails putting a client’s interests above your own, especially when millions of dollars are at stake. The most successful financial advisors work on a fee-only basis, meaning they have no conflicts of interest when recommending products. To become a financial advisor, you must pass the Series 65 exam unless you pursue a less-regulated job role, such as a chartered financial analyst. Financial advisors depend on building long-term relationships with investors, not closing one-off deals with little transparency. You won’t necessarily have an office to report to because you’ll be meeting clients for working luncheons or visiting their homes for dinner. Trust matters more than transactions and commissions in the world of financial advising. It may surprise you to learn that brokers do not operate under a fiduciary responsibility. Instead, brokers follow the standard of suitability, which means that there is less focus on building a client’s wealth over time. Earning a median salary of $53,954, brokers facilitate securities transactions, receive a commission and almost never work on a fee-only basis, which is not the same as fee-based compensation. At a fundamental level, brokers are loyal to their firms first and investors second. Remember that this doesn’t mean that all brokers are trying to rip off investors. It just means that long-term relationships over the course of a broker’s career don’t have the same value as the report advisors build. You’ll have to pass the Securities Industry Essentials (SIE) exam and Series 7 exam since the SEC and FINRA regulate broker-dealers, but once you do, you can enjoy a fast-paced, high-stakes work environment. If I choose to a career in financial services can I get both registrations? Around the turn of the century, a shift occurred and dual registration has essentially become the industry standard. Most of the major firms expect their finance professionals to be both financial advisors and brokers – one-stop shopping for clients. If you go this route, you will need to be registered for both roles by taking the SIE exam and either (1) the Series 6 exam plus the Series 63 and 65 exams; or (2) the Series 7, 63 and 65 exams. For the Series 7 option, you can take the Series 66 exam instead of 63 and 65. Investopedia provides a good summary of information regarding the 63, 65 and 66 exams. The number of exams may seem daunting but remember: You are investing in your future. Your versatility, being capable of providing a wider range of services, will pay off during your job search and, ultimately, your wallet. What experience have you already earned? Do you want to sell securities? If a nightlife expert can transform into a financial guru, you can take the work experience you have and apply it to work as an advisor or a broker. It all depends on whether or not you believe that building close relationships is the path to success. If you want a transactional line of work, brokerage careers may be the best choice. Dual registration is an increasingly popular option among finance professionals who want the most flexibility. Financial service is a bustling industry, so it’s wise to consider all possibilities. Following the right career path is never an easy choice, particularly in a career in financial services. Advisers and brokers play different roles, so you have to understand what each job entails.